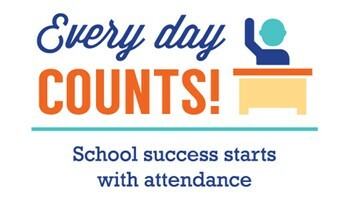 The Governing Board believes that regular attendance plays a key role in student achievement. The Board recognizes its responsibility under the law to ensure that students attend school regularly. Parents/guardians of children aged six to 18 are obligated to send their children to school unless otherwise provided by law. The Board shall abide by all state attendance laws and may use appropriate legal means to correct the problems of excessive absence or truancy. Students will be expected to attend class regularly and to be on time in order to receive maximum benefits from the instructional program, to develop habits of punctuality, self-discipline and responsibility, and to assist in keeping disruption of the educational environment to a minimum. While it is possible for an absent student to make up much of the school work missed, it is impossible to completely compensate for absence from the classroom experience. Consistent attendance in classes in the Anderson Union High School District is crucial to each student's personal and academic growth. Students who are ill should remain at home. It is understood that there will be occasional family emergencies that may require a student to be out of school. However, parents and students are encouraged to meet all school commitments and to schedule all non-school commitments and appointments outside the regular school day. District procedure provides that given parent authorization, school personnel may, depending on the circumstances, declare other absences excused or unexcused. 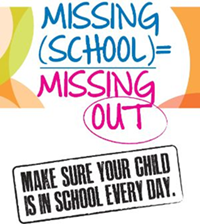 Research show that students who miss 10% of school, which is just 2 days per month, show negative academic progress. That adds up to 18 days per school year and is considered to be chronic absence! To report an absence, a parent/guardian or emergency contact may call the Attendance Office at 530.347.7171, ext. 4. You can also verify an absence by sending your student to school with a note upon their return. Make sure the note lists the student name, absence date and reason, and a signature from the parent or guardian.